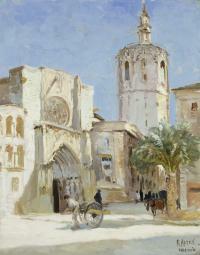 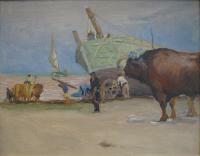 In 1922, Alten traveled throughout Europe with pupil and fellow Grand Rapids artist Foster Jewell. 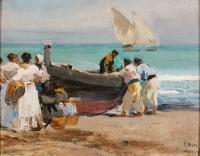 Alten again focused in on the beach at El Cabañal, a fishing village that is now part of Valencia, Spain. 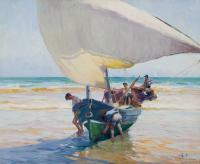 By this time, his paintings were more closely aligned to the aesthetics of the Spanish painter Joaquí­n Sorolla. 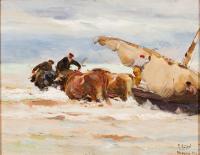 Man riding oxen. 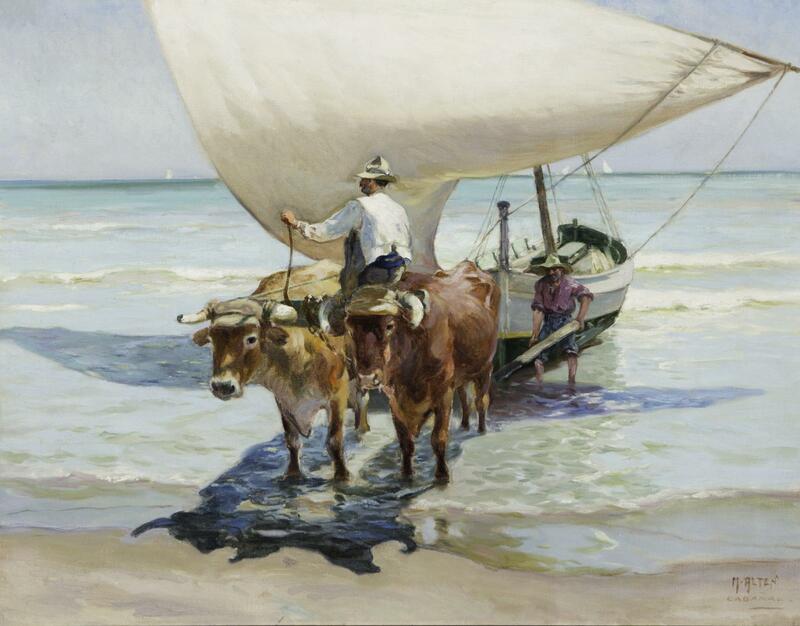 The oxen are pulling a sailboat to shore.